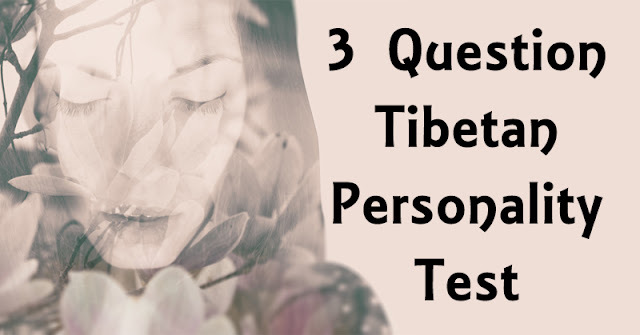 Home » »Unlabelled » This 3 Question Tibetan Test Reveals A Lot About Your True Nature! Your subconscious is incredible. It abandons all logic and thinks symbolically. It’s the gate connecting you to the world of the intangible. Today, I challenge you to dive into that subconscious-driven world. What for? A personality test unlike any other you’ve ever done! It’s believed that this test, called the ‘Tibetan personality test’ was put together by the Dalai Lama. To complete it properly, you need to think abstractly. Don’t spend too much time focusing on each exercise; just go with the flow and pick the answers that pop into your head.. Grab a notepad and a pen and prepare to learn a lot about yourself! #1 – Imagine there are five animals in front of you. Yellow: Someone who had a major impact on your life. Orange: Someone you consider to be a true friend. Red: Someone you love wholeheartedly. Green: Someone you will never forget. Color plays a large role in shaping your subconscious view of yourself, as we discuss in this post. This post was republished from davidwolfe.com.